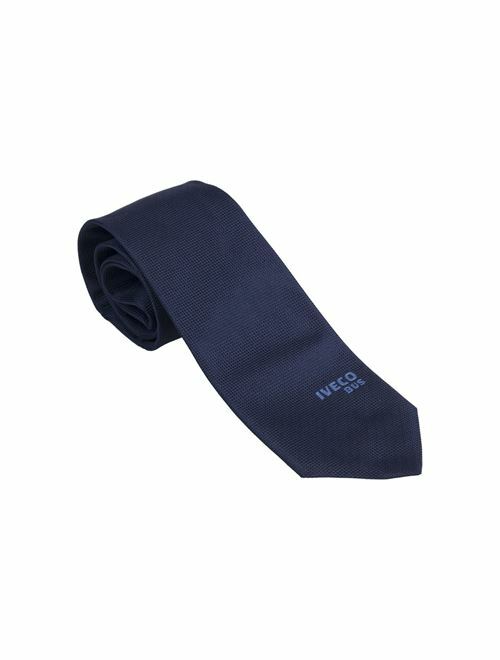 Navy blue tie with Iveco Bus logo embroidered onto the fabric. Made in Italy. Material: 100% Jacquard silk. Dimensions: 8.5 cm x 155 cm. Silk Label customized with text "limited edition". Packaging: white glossy cardboard giftbox, (190 gsm paper), with silver IVECO BUS logo centrally positioned.